Our state of the art architecture combined with modern facilities helps you to spend quality time in any of our hotels. We have our hotels at some of the most exotic places in India. We even have our presence in United States of America and New-Zealand. There is no secret to our success. Our success is attributed to our customers who constantly believe in us and our services. For us, the thing which matters the most is our commitment to work. It is because of this commitment we are able to maintain long lasting relationship with our customers. Our cordial reception makes our customer feel at ease. What we care the most is whether our clients are satisfied with our services, which they are always. So, we take pride in our work which helps us to grow each and every day. Also, the other factor which induces the customer to our hotels is the way we construct and maintain our hotels across India. For instance, if you visit our hotel Sai Sahavas in Shirdi you could find that you will have the spiritual feeling even in our hotel. 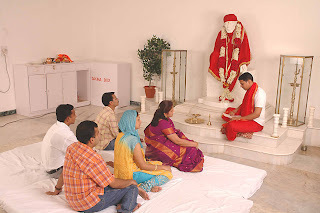 We have a meditating room in the hotel itself with a statue of the Lord Sai Baba.We make sure that you get the essence of the culture of the place you visiting. We also cater to many corporate clients who prefer modern facilities for their business reasons. We have facilities like Wi-Fi connections for their need; we even have conference rooms with projectors for hosting any kind of meetings. All these facilities even make them our loyal customers who conduct their annual meetings and every other function at our hotel. Currently we have a luxurious hotel coming in the city of Nawabs, Hyderabad. This expansion is because of the hard work we put in maintaining our existing hotels, which ensured that we can penetrate in every part of India. It was your support which made Panoramic Universal Ltd. these big and we are still growing. We will always stick to our commitment in providing services to you anytime and every time. Labels: Hyderabad hotel, Panoramic Universal Ltd.